The Henry R. Winkler Center for the History of the Health Professions concluded a year-long project funded by the National Film Preservation Foundation. 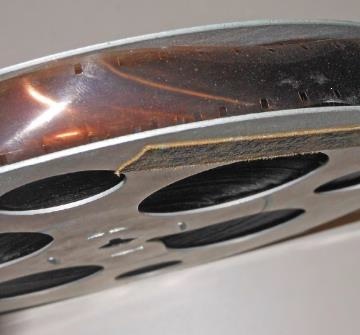 Partnering with Colorlab, a full-service motion picture film lab in Rockville, Maryland, the Winkler Center digitized three rare 16-mm films depicting surgeries performed by renowned surgeon Dr. Mont Rogers Reid in the mid-1930s. In addition to their digitization, the films were cleaned, restored, re-plasticized and rehoused by Colorlab. 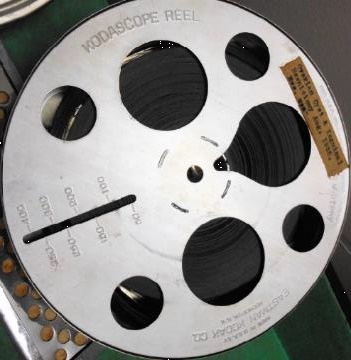 Thirteen films of Reid’s were found in UC’s Department of Surgery, but only three were salvageable as many were on Kodacolor acetate, a film type known for its rapid deterioration. The acetate nature of these films, along with the fact that there are very few existing surgical films from this era in existence, makes this visual media extremely rare. No other library in the United States has film footage of surgeries conducted by Dr. Reid. Preserving these films presented a rare opportunity for the Winkler Center and the National Film Preservation Foundation to bring attention to the only remaining film footage of a true pioneer in medicine. Mont Rogers Reid was born in Oriskany, Virginia, in 1889. He graduated from Roanoke College in 1908 and later attended medical school at Johns Hopkins University. Upon graduating in 1912, he became a surgical intern under the supervision of Dr. William S. Halsted. Halsted himself was well-distinguished and known as one of the “Big Four” founding professors at the Johns Hopkins Hospital. He was mentor to some of the greatest surgeons this country has ever produced. Reid was Halsted’s 16th resident, serving as chief resident from 1918 to 1921, at which time he was appointed associate surgeon at Hopkins. In this position, Reid further developed and refined the skills and techniques taught to him by Halsted. 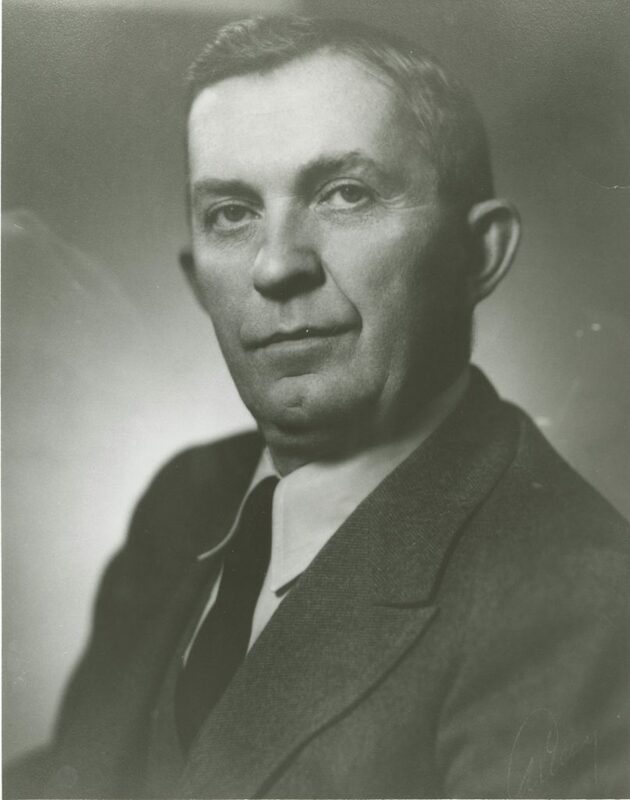 He moved to the University of Cincinnati with another of his mentors, Dr. George J. Heuer, in 1922 to serve as Heuer’s associate professor of surgery at the College of Medicine’s Department of Surgery. Dr. Reid was already an expert in blood vessel surgery, wound healing and novel medical research in cardiovascular care. Later that year, both Heuer and Reid were summoned back to Baltimore as Dr. Halsted had developed cholangitis and was adamant that Heuer and Reid perform his surgery. Despite a successful operation, Halsted later succumbed to infection. 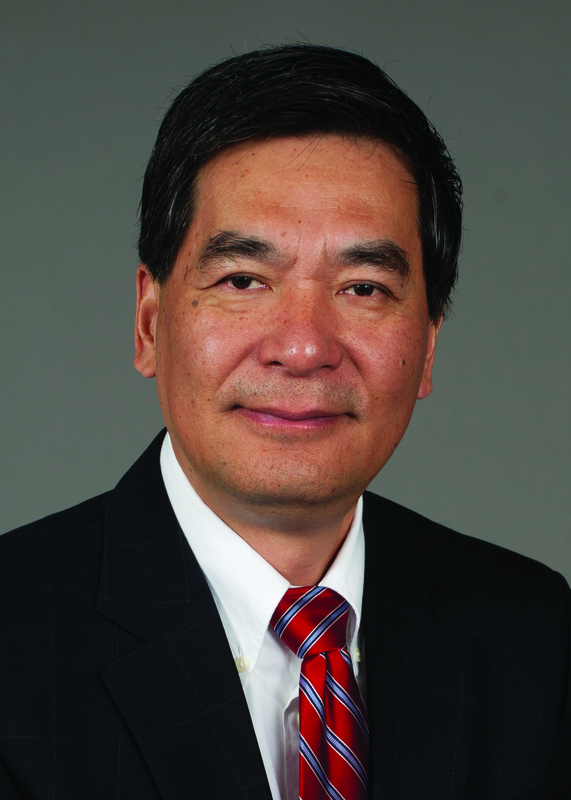 Back at the University of Cincinnati, Reid was appointed the Christian R. Holmes Professor of Surgery and Director of Surgical Services at Cincinnati General Hospital. He was only the second person to hold that position, the first being Dr. Heuer who vacated the job in 1931 to take a position at Cornell University. In this role, Reid fundamentally reshaped the UC surgery department, implementing many improvements to the surgical residency program. He also utilized a Hopkins-inspired approach that increased the amount of post-graduate training in which surgical residents had to participate. The program’s reputation and caliber grew, thereby increasing applications to the College of Medicine, which in turn allowed the college to attract the “best and brightest” students and residents. It also created a model of excellence that transformed the UC Department of Surgery into one of the top surgical education programs in the U.S. and made Cincinnati General Hospital (now University of Cincinnati Medical Center) a world-renowned center for cardiac and surgical care. In 1939, Reid was offered the Surgical Chairmanship at The Johns Hopkins Hospital, a position he declined because of his dedication to his adopted city, its medical school and the school’s department of surgery that he helped develop. His premature death at the age of 54 in 1943 was a great loss to the medical and local community. So respected in the community was Reid, that upon his death the flag at Cincinnati’s City Hall was flown at half-mast. 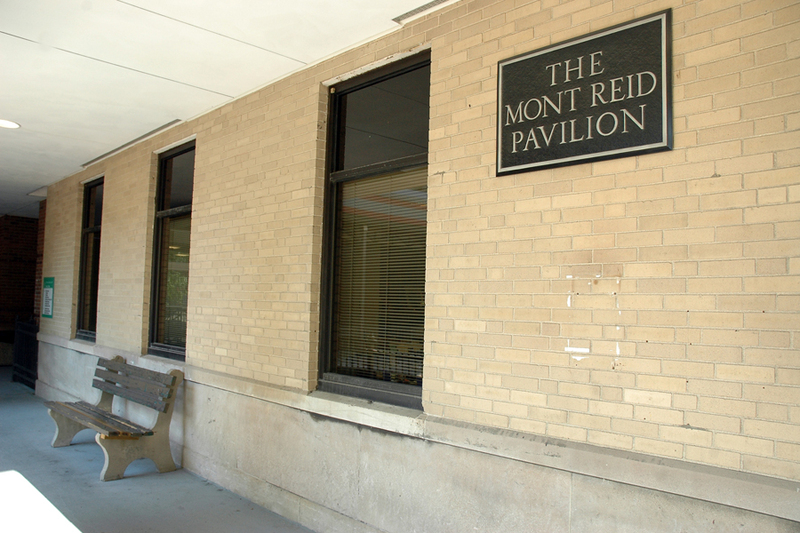 In 1951, the surgical wing of the Cincinnati General Hospital was named the Mont Reid Pavilion and retains that name to this day. In 1988, a surgical handbook named for Reid was written with contributions from numerous UC surgical faculty. The Mont Reid Surgical Handbook became a mainstay of surgical care and is still utilized in medical education today. What is known about these newly digitized films of Mont Reid performing surgery is almost as much as what is not known. The viewer never sees Mont Reid’s face, but rather only his hands and the hands of an attending surgeon and nurse. We do not know the names of the photographer or the others in the operating room. Each of the three original canisters containing the films were, however, labeled. The first, titled “Ovarian Cyst & Inguinal Herniotomy, August 1935,” is thought to be a misnomer. Upon viewing the films recently with Dr. John Bossert, a surgeon, and Dr. William Camm, both members of the Winkler Center Advisory Board, it was suggested by both doctors that what we are viewing is possibly a herniorrhaphy. The second film, “Cholecystectomy with Gallstones, 1935,” again may be mistitled as Drs. Camm and Bossert noted that the procedure looks more like a cholecystostomy. Of note in this film are the number of gallstones removed by Reid from the gall bladder. Not labeled on the second canister is a simple mastectomy procedure, which closes out the film. The mastectomy is performed due to an extremely large and metastasized carcinoma of the breast, the severity of which Dr. Bossert noted would be almost impossible to occur today due to a more informed knowledge of breast cancer and the practice of frequent checkups. Finally, the third canister is titled “Toxic Thyroid – Cesarean, December 17, 1935” and shows footage of the removal of a toxic thyroid nodule and also a Cesarean section. Though portions of the operations look antiquated by today’s standards, much of what we see was customary for the period. At other times while viewing the films, Reid’s surgery skills prompted Drs. Camm and Bossert to question why he may have done it “that way.” Though questions like these may never be answered, the films nevertheless serve as a surgical time capsule revealing the technique and skill of one of the best surgeons in the country at the time.